Join us in the luxury wedding hub. London becomes the most romantic destination in Europe for the first weekend of March 2018, as the Bridelux Destination Show is about to take place. The famous show is dedicated to destination weddings. Brides fly from around the world to meet with luxury event professionals in order to plan their “I do“ day. 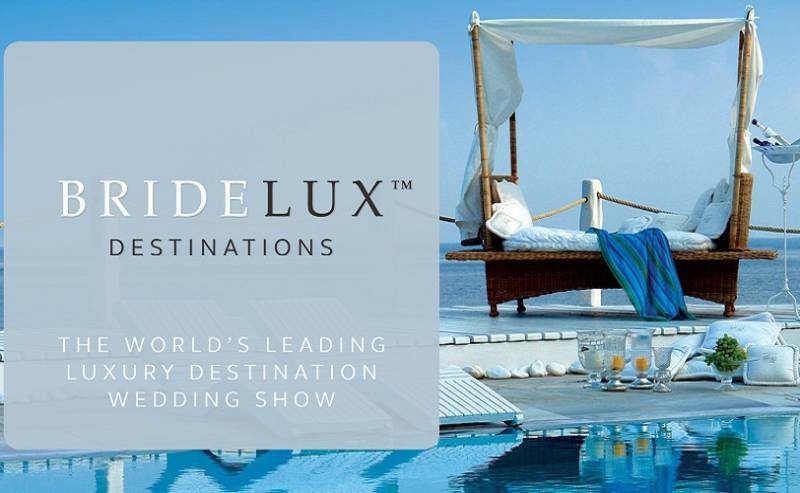 BlueVillas, the Greek Award-Winning company for 2016 & 2017, specialized in Luxury Serviced Villas, would like to kindly invite you to attend the Bridelux Destination Show on Friday 2nd (5pm - 9pm) and Saturday 3rd of March (10am – 5pm), in London in the Royal Horticultural Halls. You will find us next to Mitheo Events with which we join forces this year. The CEO and our Event Coordination team will be happy to take the stress off your shoulders and create the most amazing wedding experience for you. We offer the best villa venues in the cosmopolitan island of Mykonos and take care of all the details for a successful Event. Let’s combine your preferences with our luxury concept and a luxury villa venue. Say “I do” to us and we will tailor-make your wedding, exactly as you have dreamed it. Surprise, surprise! For our happy brides-to-be who would like to discuss with our team of experts their luxury Mykonos wedding, BlueVillas will be more than happy to answer your questions and recommend the best villa for your special occation. If you would be interested in attending and meeting with us, please send us an email. Let us be your “Something Blue”, in the fantastic journey of preparing your luxury wedding at a Luxury Villa in Mykonos and your honeymoon in Santorini! Till then, take some inspiration here.